If you own small business that doesn’t feel the need for an online service provider to store your company’s data, you should consider purchasing a computer server rack to keep yourself organized. What is a computer server rack? 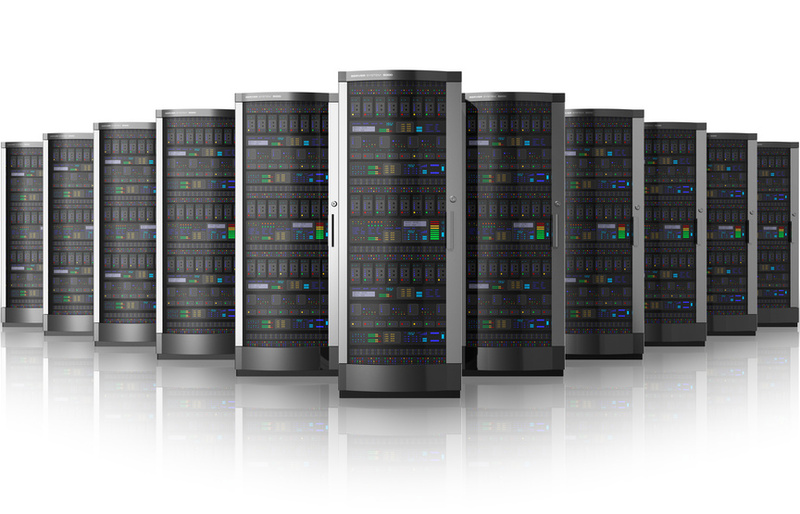 These are structures that house servers and are normally found within a company’s database room. There are a number of server rack sizes, although the 19 inch server rack is the most common. These racks help keep company databases organized and functioning smoothly. These racks are used to store computer equipment and allow for dense hardware configurations that don’t require much space. Even a small server rack can help a company become more efficient by managing their data in an organized manner. Things to consider before making a purchase: It is best to not purchase a cheap server rack because they could either be faulty or flimsy — you will need a sturdy rack to house your data and prevent accidents. You should consider your company’s server cabinet power requirements before selecting a computer server rack; if you purchase the wrong server cabinet, your computers may not be able to fit or their power needs will not be met with a smaller server rack. Consider the climate your company is located in and the geographical area. You may need to make adjustments to your building to allow for a constant flow of cool air into the room. Climate affects the energy consumption and environmental impact of a server room, so you will want it to be at a cooler temperature to avoid frying your machines. Setting up your server racks: Computer servers can make an awful lot of noise and can be very distracting for your employees, therefore you should isolate your servers to reduce this noise. Some companies will have a separate, temperature controlled room, but if you cannot afford to do this just yet, partition a space off in the office or even set up a well-ventilated closet to house the servers. Other small businesses may even place their servers in their IT department to ensure no other employees tamper with the wiring. The next step to setting up your server racks is dealing with cord vomit (i.e. the rat’s nest of wires). Have an expert or your trained IT staff properly deal with all of the cables. Every piece of equipment should be linked with Ethernet cables, and there will always be more intra-cabinet wiring. Lastly, for every rack you set up, don’t forget to label it appropriately. For example, one server rack may house computers that strictly deal with your company’s firewall, while another manages your email system. Make sure you mark these as such so IT and other personnel can easily find these in the event a fix need to occur. After that, your computer server area or room should be one of the most organized spaces in the office. More like this blog. Posted on September 5, 2014 by Gina. This entry was posted in 19 inch server rack, Open frame rack, Server rack case. Bookmark the permalink.